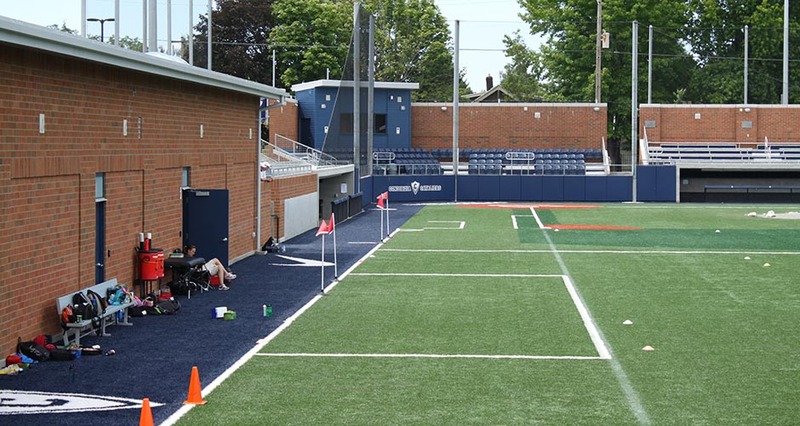 Concordia University retained Mackenzie to design a new sports soccer and baseball field facility. 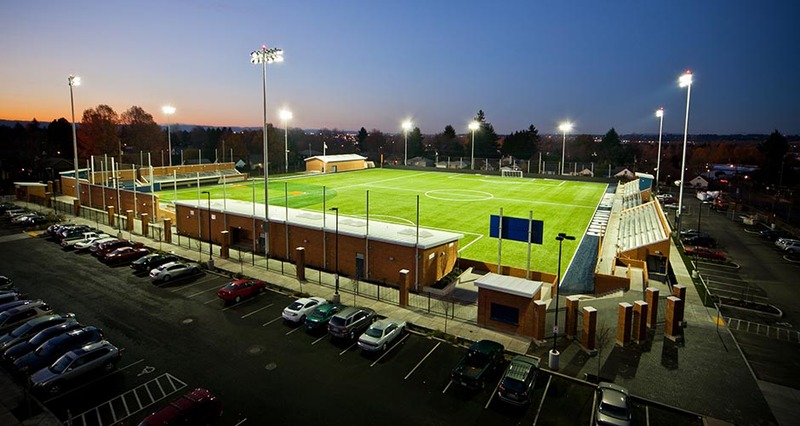 The University desired a facility that would attract talented athletes and serve as a source of pride for both the University and the surrounding community. The field orientations and dimensions for the 1,200-seat stadium were based on Concordia University staff recommendations and NCAA/NAIA standards. Though the soccer and baseball fields are combined, the design provides two distinctive atmospheres. 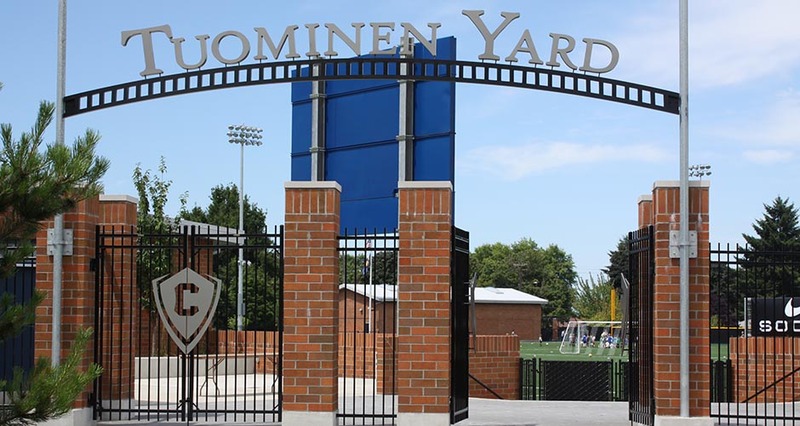 For instance, the soccer and baseball fields have separate entrances and entry plazas, and separate seating, press boxes, and ticket and concession stands. In order to create a first-class facility, attention was given to specific urban design elements, respectful to the surrounding community. 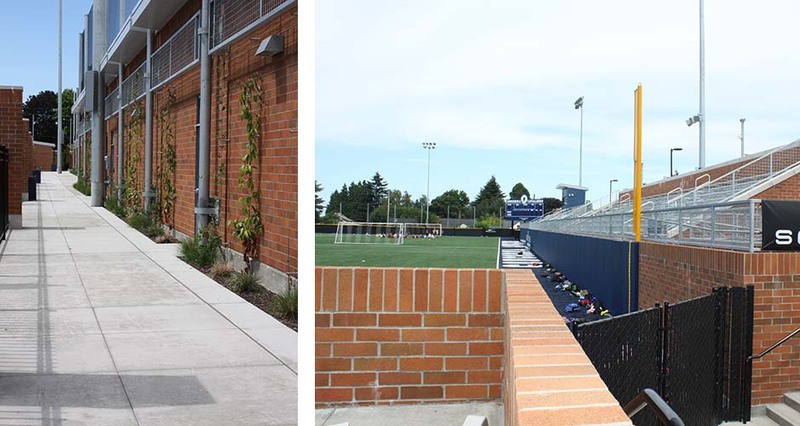 This included an enhanced campus entry given the field’s location at the main approach to the University; the use of building materials reflecting the existing adjacent historic masonry structures; decorative paving for the baseball and soccer field plaza entries and crosswalks; and quality fencing materials to direct access to entry points and provide controls for use. 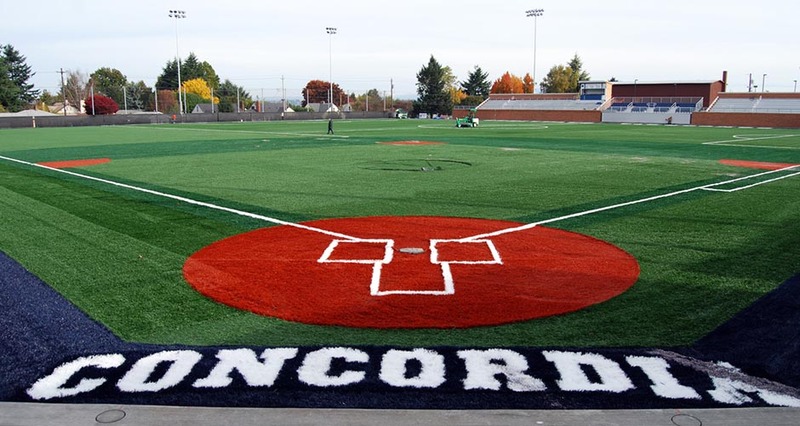 Concordia University is a growing school situated in a residential NE Portland neighborhood. Because of its location, development of the stadium required a strategic communication approach with the neighborhood association. Mackenzie’s land use and transportation planners devised a Special Events Management Plan (SEMP) outlining operational issues (such as hours of operation, number of annual events, noise, and on- and off-site parking management plans) to satisfy both the neighborhood and the University, thereby ultimately receiving neighborhood support, project approval, and an on-schedule project. They also assisted in the vacation of Liberty Street between the library (another Mackenzie project) and stadium to accommodate increased parking demands and new circulation patterns.